The 2014 Cycling Plus Bike of the year just got better! "But the kit is only a small part of the Synapse’s huge charm. What sets it apart from a highly competitive crowd is the way that it goes about its business of being flat-out-fast. On the flat, its cotton-wool like comfort makes progress easy. 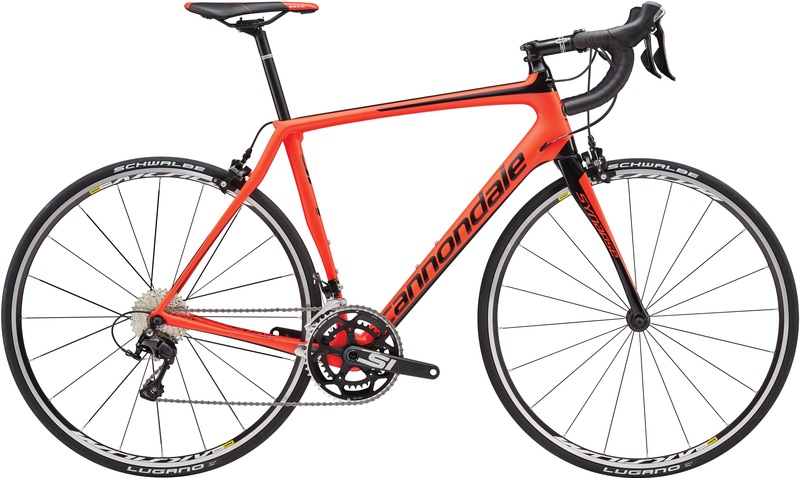 The shape of the bike is far more aggressive than the old Synapse, but not as low and flat as Cannondale's similarly impressive SuperSix Evo, and this middle ground makes for a balanced, swift ride. It's also a nimble climber, despite not being that light." "This is all impressive stuff, but it’s when you hit the descents that you truly realise just how good this bike is. The smooth yet stiff back end feels absolutely planted, while the front tracks with resolute unwillingness to drift even a fraction from the fastest line." "Rarely have we seen a bike that blends such rapid performance with class leading comfort"